We would like to thank Sephora for her kind words (on wedding wire). Click on the picture below to see her review. Find more customer testimonials on our website. Explore our unique Send n Seal invitations! 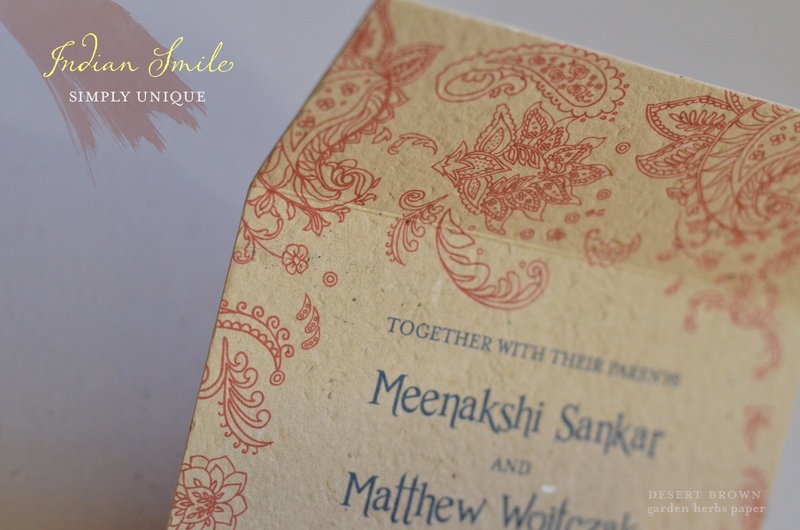 The image displayed below is our best seller Indian Smile invitation. 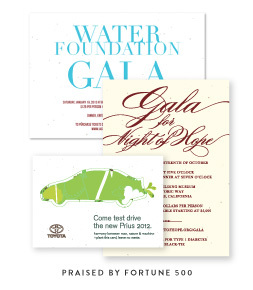 Printed on our exciting Desert Brown paper, embedded with garden herb seeds, this is a truly eco-chic invite. We also offer the invitation in 100% recycled paper and other seeded paper, embedded with wildflower seeds. A new take on our classic wedding invitations. Wide-view format with dimensions: 9.25 x 4 (w x h). Our classic wedding cards are also available in 5 x 7 (w x h) format. With so many designs to choose be sure to browse our plantable collection. 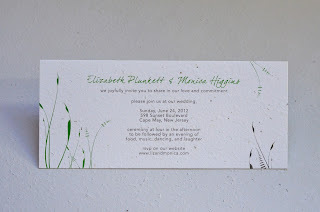 Printed on seeded paper, embedded with wildflower or garden herb seeds, these are the greenest invitations in the world! 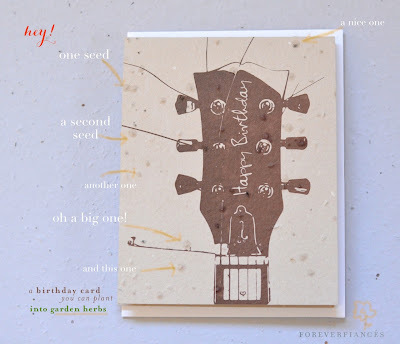 Say Happy Birthday with our seeded paper greeting cards - Acoustic Guitar! Handmade seeded paper is plantable into garden herbs or wildflowers! 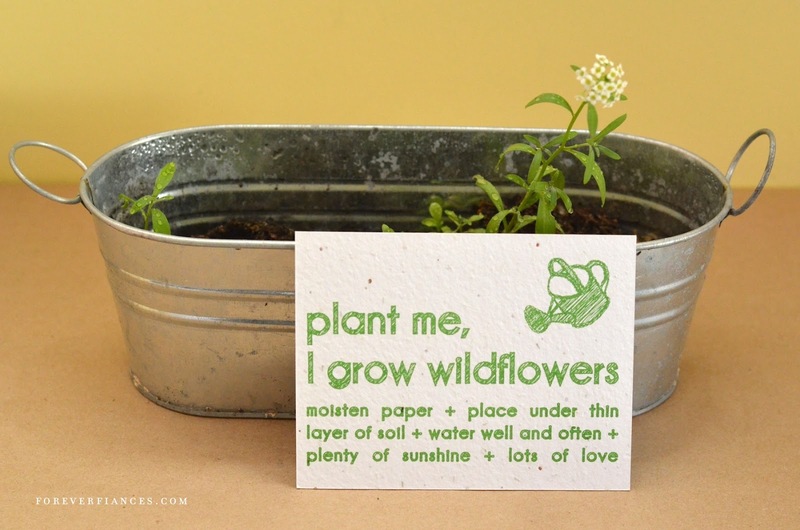 This eco-chic greeting card is featured in desert brown with garden herb seeds embedded in the paper. 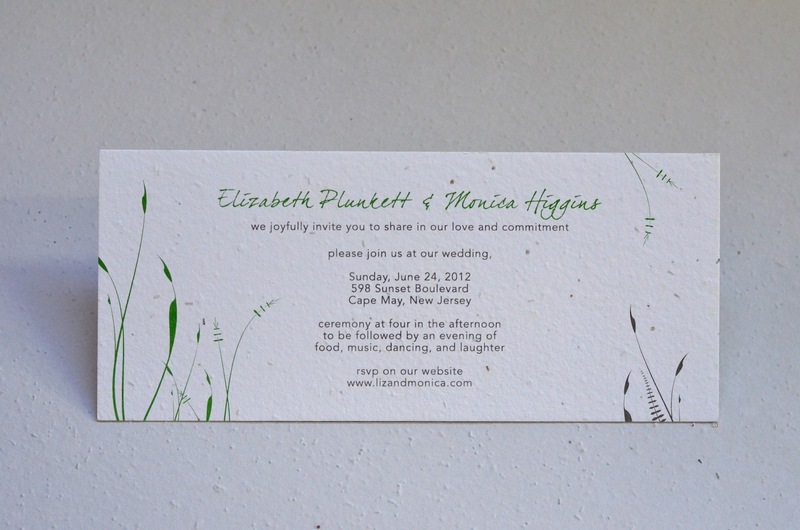 We also have bright green and white paper that features the garden herb seeds. What types of garden seeds are embedded in the paper? Oregano, Thyme, Chives and Basil. The paper is made on 100% recycled paper that is 100% biodegradable! Alternatively, ForeverFiances also offers a variety of paper colors, embedded with beautiful wildflower seeds. 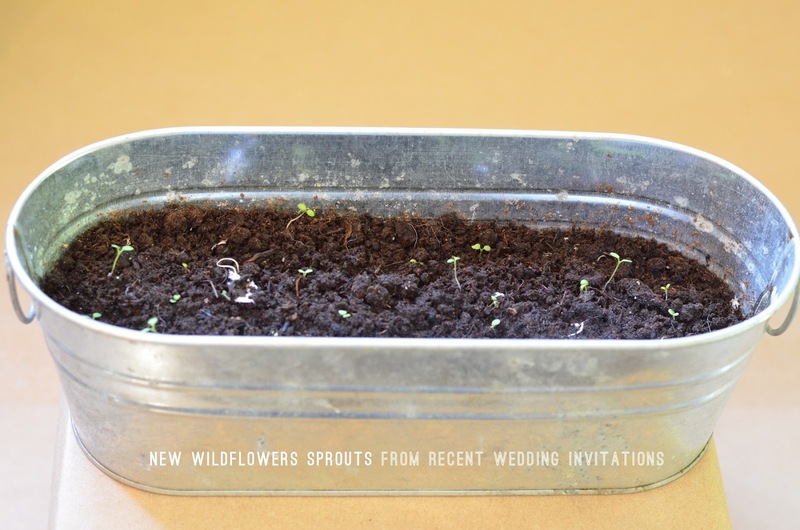 Buy a card that grows wildflowers today and amaze your recipients with blooming seeds! One of our most popular wedding suites has just expanded with a new menu for your reception. La Foret is perfect for a rural or wooded wedding setting. 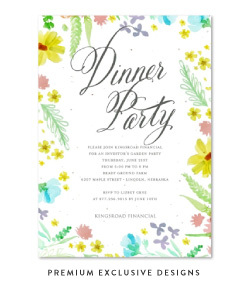 Celebrate nature with these menus, printed on seeded paper that will bloom into wildflowers or garden herbs. Let's praise our friends Lauren and Boris for their beautiful wedding! Here's a few pix, taken from glamour.com, featuring gorgeous shots from Nicole Dixon.